By Karan Dave creative content writer with iPhone app developer, Peerbits. ‘Life after death,’ sounds scary but it is a new reality. Here is the unique technology that makes it possible to use the ashes of your loved ones to blend with the plant composite. Not only this, but you can also track and monitor the growth within the realms of your fingertip – a mobile app. Here is the chance for your loved ones to live another life in the form nature – a plant. Gerard and Roger Moline from Catalonia are the minds behind this unique technology that made it possible to make an app-controlled plant. Imagine you see the plant growing in front of eyes, day after day. Now that there is an emotion attached to the plant, it can be the family tree of your ancestors in future. This idea is something that has the power to bind generations. Mobile application development is scaling the horizons of tech utility as this particular app has made it possible to control the nature with the help of innovative technology. 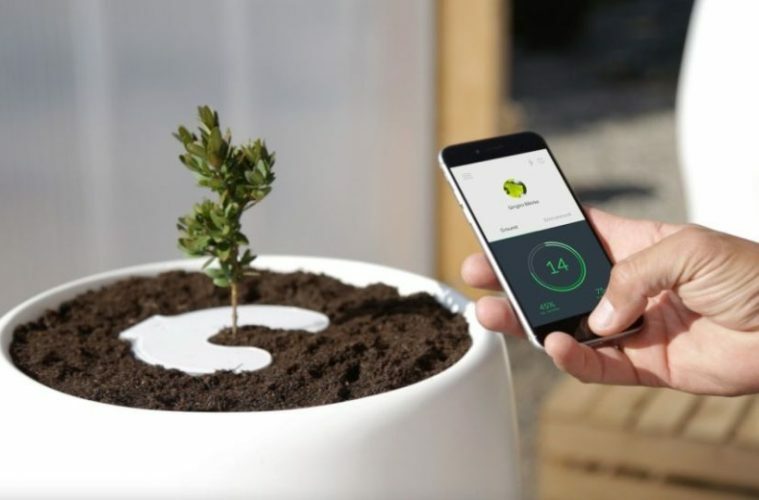 The idea behind this plant is incorporating a biodegradable pot, allowing the seeds to grow with the blend of soil and ashes of your loved ones. For the mobile app to be in sync with the plant, there is an embedded incubator that is referred as Bios Incube. This Bios’ Incube makes it possible to manage the growth efficiency of a plant. Here, the efficient functioning of the mobile app development comes to full use as the there are series of sensors installed within the plants. It is this way you can nurture the plant’s growth cycle, where an app will provide you all the necessary information and analysis to monitor. Without restricting the application only to control the growth, there are plenty of resourceful tools which keeps the users informed. It is possible to maintain a plant’s temperature along with its water needs, and humidity levels – all inside your pocket. The work of the mobile application is to ensure that the plant is gradually nurtured by using the statistics availed from an app. Bios Urn leads the significant invention to change the world-view towards death and at the same time, attaching the human element to nature. Moline brothers drive Bios Urn by offering a broad range of plants that includes Maple, Pine, and Oak.